A stunning, sophisticated style. Princess-cut sapphires (1-3/4 ct. t.w.) are lined with round-cut diamonds (1/2 ct. t.w.) 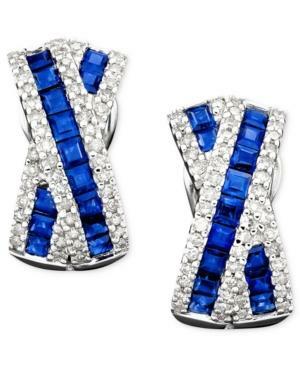 on beautiful 14k white gold earrings. Length measures approximately 1/2 inch.